The October (really?! October?!) solicits for DC Comics hit the internets today. Well, technically, they hit sometime last week in some leak or some other thing, but, really, officially, they hit today. Gerard Way's Young Animal imprint triples in size, with Cave Carson and Shade, the Changing Girl joining the pull lists of many a comic book reader. What happened to Larry Trainor? 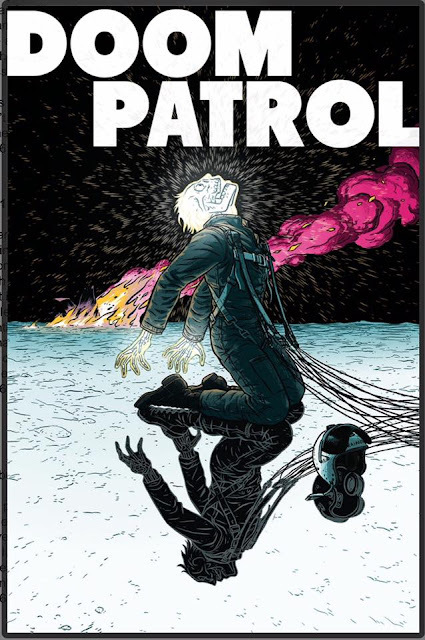 The hero known as Negative Man is still out there, but he’s not exactly the same guy he was back when Doom Patrol was still together. Like a Russian doll, there is man inside the man, and who knows how many other men inside of them, with the guy on top possessing a mind for mischief that incites violence. Meanwhile, Casey has started rebuilding Robotman, even though she still doesn’t know exactly how Cliff Steele ended up crossing her path in the first place. You can catch the full solicits for DC Comics in October 2016 right here. This month I'm going to try something new. Every solicit going forward, starting right here, I'm going to take a spin through the DC titles and match the number of Young Animal titles with titles I'm going to take a look at and read. I'll do something quick about them once I've read them either in the form of a review over on Comicosity or on my other comic book catch-all blog: Tales of My Greatest Strange Adventures. 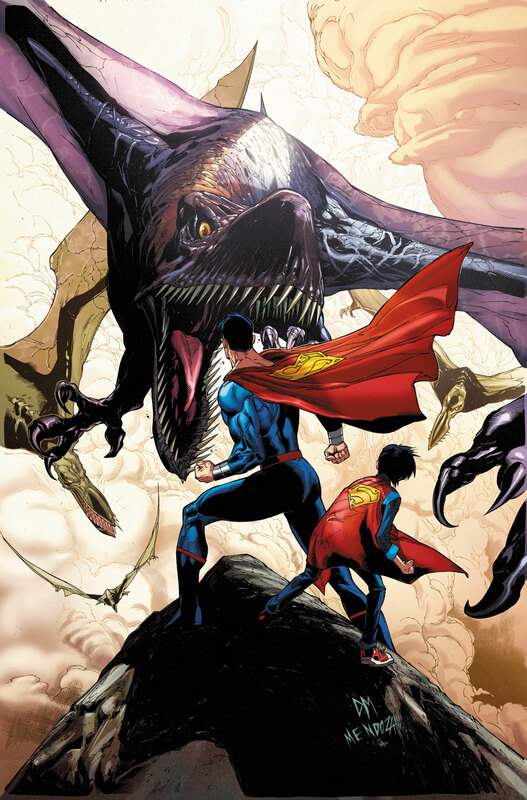 Superman #8. I'm a big fan of Tomasi and Gleason working together. Add in a cover (and more?) by Doug Mahnke and dinosaurs, and I cannot even begin to present an argument against this book. The Prestige Format returns for Deadman: Dark Mansion of Forbidden Love #1, written by Sarah Vaughn and drawn by Lan Medina. Boston Brand is one of my absolute favorite characters and just the thought of having two of Arnold Drake's creations available in their own titles in the same month is fantastic. 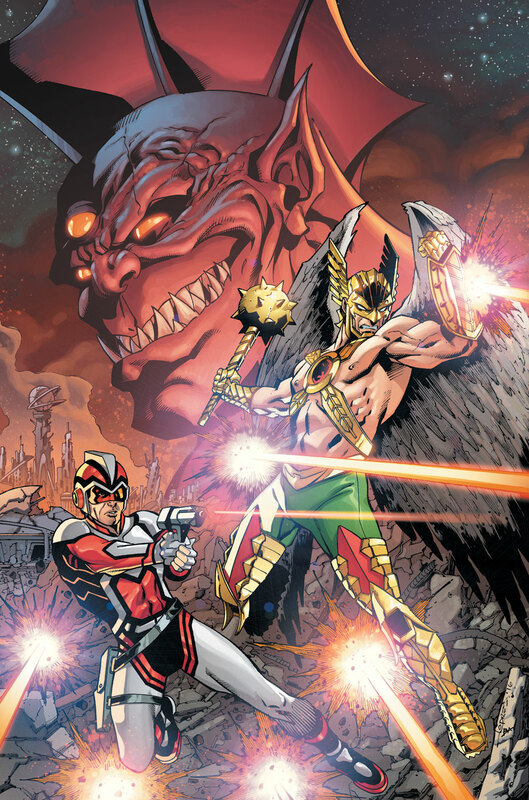 Hawkman is another character near to my heart, no matter how crappy the previous incarnation may or may not have been handled. All that matters now is that Hawkman and Adam Strange team up as once more Rann and Thanagar just can't seem to get along in Hawkman and Adam Strange: Out of Time #1. 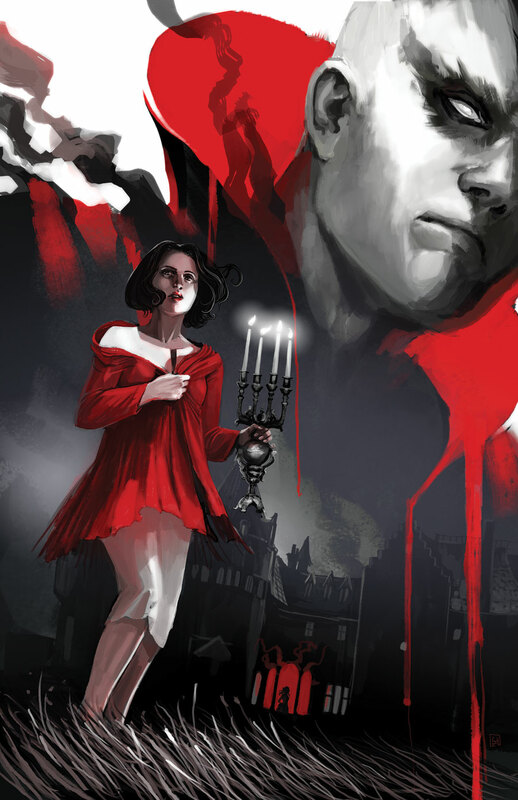 Marc Andreyko writes this one and Aaron Lopresti draws it, and I can't wait, even if it will be October. There ya go. Some Young Animal solicits and some books to keep an eye for as well. How about you, gentle readers? Will you be buying all of the Young Animal stuff? What about the other three recommendations? Better yet, any books YOU are looking forward to the most? Something about Adam Strange makes me go "Ooooh, ADAM STRANGE!!!" every time he appears, to mixed satisfaction when I actually read the books. This looks like it takes place in some nebulous continuity, perhaps more pre-New 52 than the Justice League United version. I will watch for your review with great interest. 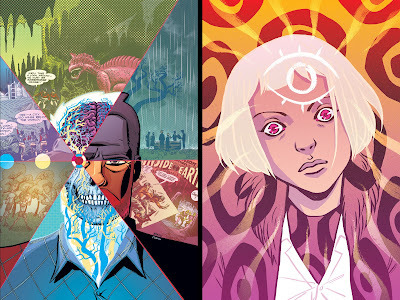 I have to say, that Cave Carson cover is totally boss! That Cave Carson cover is magnificent. I've never thought about caring about Cave Carson more than I do after seeing that cover. As for Adam Strange, I know that feeling. I rather enjoyed Planet Heist, but the follow-up was a bit of a letdown (Rann-Thanagar War. Again.) I'm looking forward to seeing where Andreyko goes with this.